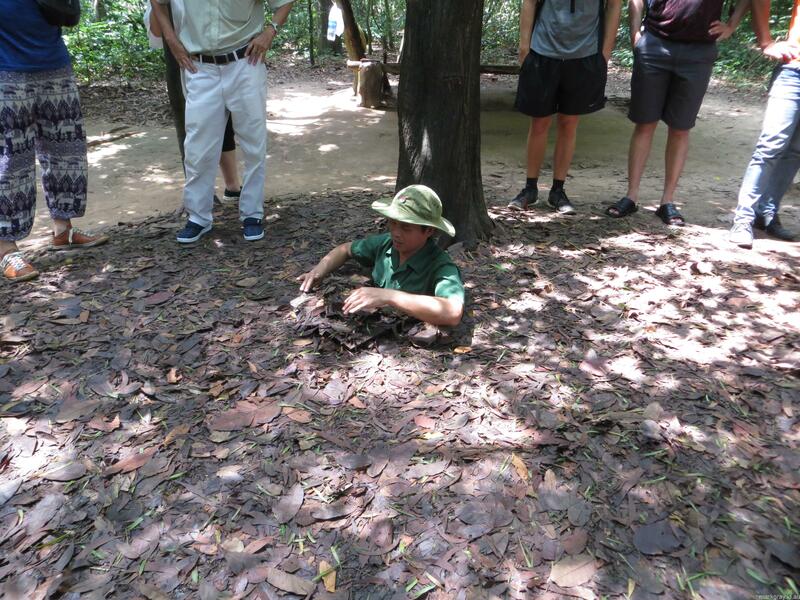 This morning we travelled 1.5hrs to the Cu Chi Tunnels with our tour company Asianalink, these tunnels were used by the Cu Chi Gorillas or Vietcong in the Vietnam war. Majority of the people on our tour were Australian so the tour guide brought out his best Australian sayings for the day. The tour guide asked to be called by his Australian name of Slim Jim, which he obtained because he eats like a bird and smokes like a chimney. He was also recovering from a big night where fell off the wagon, but luckily this morning he was back on the wagon for the tour. He did mention that he expects he will once again fall off the wagon at happy hour tonight though. The tour guide was great and was very interesting to listen to. He was working for the armed forces during the Vietnam war, he then became a teacher. He was able to give us first hand knowledge of what happened during the war as well as what was written in the history books. 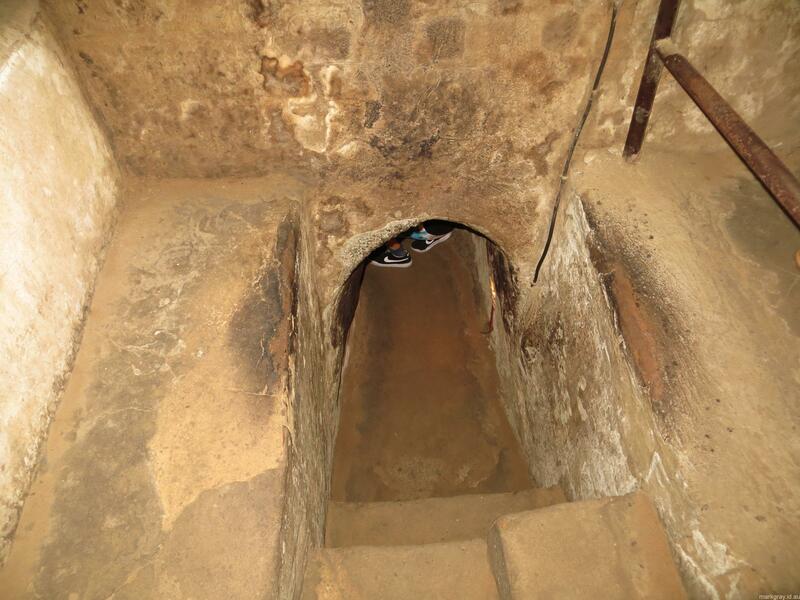 We learnt about the traps which were set (some are in the photos), the underground tunnels, how they used to cook food underground and had the opportunity to fire an M16 assault rifle. 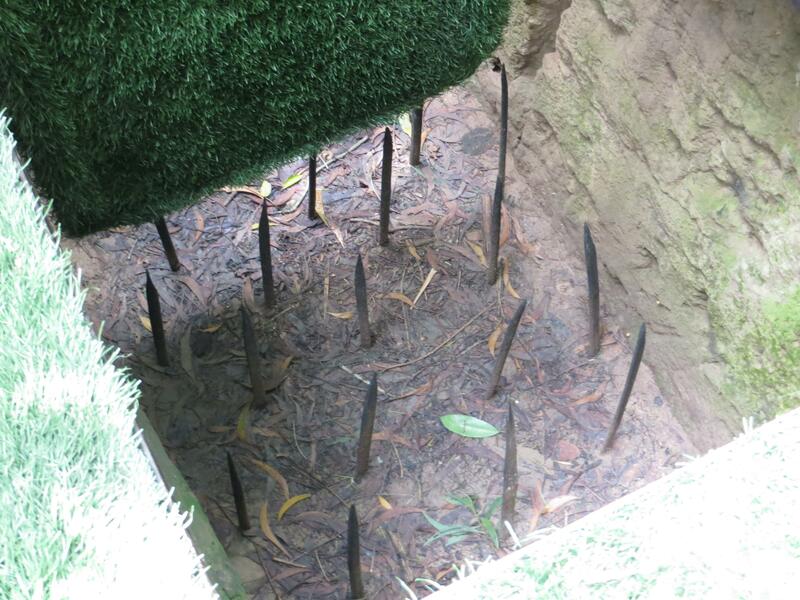 The tunnels were very small and the Vietcong had to enter these on hands and knees. 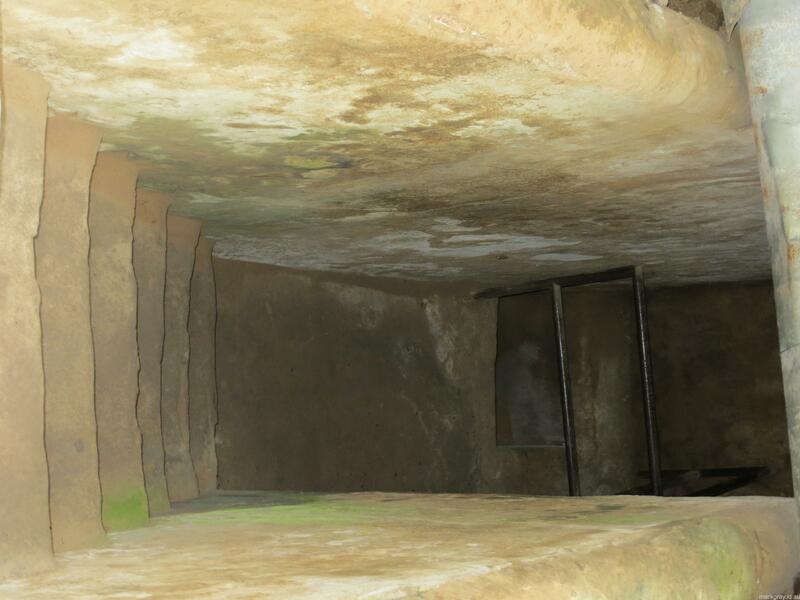 There were small concealed hatches to gain entry to the tunnels and underground rooms provided areas for the Vietcong to eat, cook and seek shelter from the bombs which were being dropped in the area. To cook underground they had a system to disperse the smoke from the fires away from the actual tunnel and up through the ground so as not to be spotted. There were also hospitals etc all located under the ground. The tunnels were built as small as possible to increase the stability during bomb strikes, the smaller the tunnel the less chance of collapse. 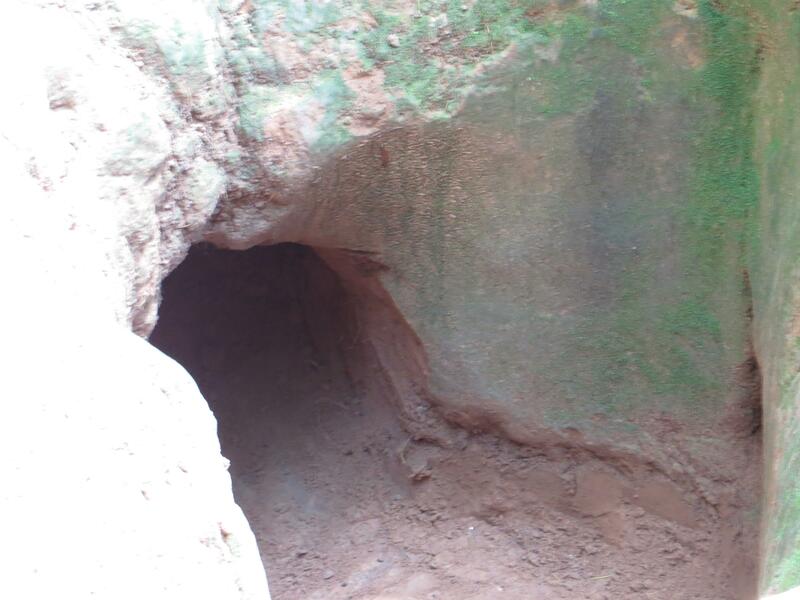 As more and more western tourists come to the site, they have had to increase the tunnel size to allow westerners to enter. 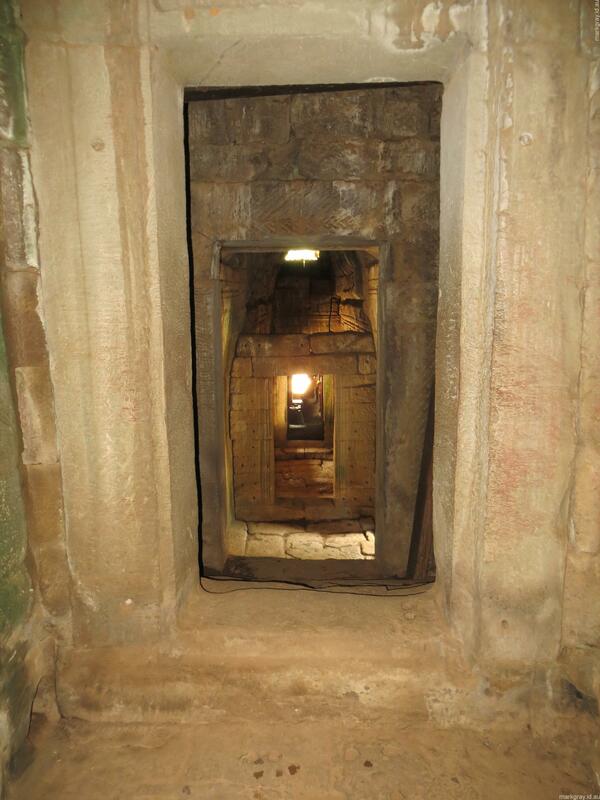 Even though the tunnels have been expanded, they are still very small. There is an opportunity to enter a 100m long tunnel and walk the whole way. There were no AK47’s to fire today, however they did have some M16 assault rifles. To fire these there was a cost of $25 for 10 rounds. The rifle range is very loud but M did very well and hit the target at 100m. After a sleep in the hotel this afternoon we made our way out to dinner. Trip Advisor is great for finding local restaurants with allergen friendly food. Tonight we stopped off at Asian Kitchen for some amazing Pho and curries. Mostly Australian people in the restaurant and the food was great at very cheap prices. Another great place to check out is Ralph’s Artisan Gelato, they have a very yummy selection of home made gelato and sorbet. They also have gluten and dairy free options and the owner is a really nice guy, we have been back three times in two days (twice today) for gelato and a chat to Ralph the owner. Great gelato and great staff. That is all for today, another big day on the road and we are all very tired. Tomorrow we are heading out for a walk around the city to see some of the key places. Today was a very big day touring around the temples with our awesome tuk tuk driver. There is a $37 entry charge to enter the park and this gives you access to all of the temples in the area. These temples are huge and the photos just don’t do them justice. It is amazing to think that people actually built these amazing structures without any form of modern machinery and the sheer precision of cuts and placements of the stones is amazing. Each stone has been placed in the perfect position to hold up the stone next to it and the design is that if one stone moves, the structure is no longer stable. 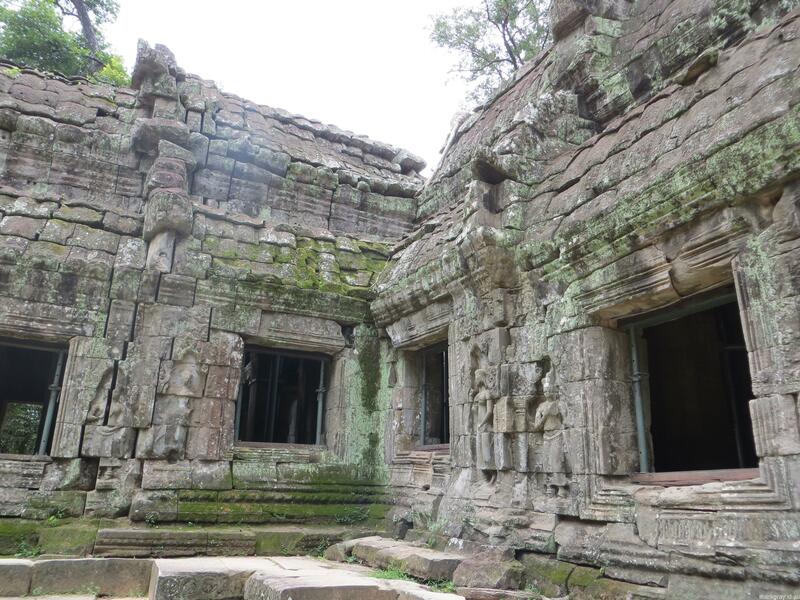 Over the years trees have grown bigger around the structures and the root systems are causing movement, there are a lot of areas where parts of the temples have fallen and there are piles of boulders and columns lining the exterior walls. A small handful of the temples are also strapped up while the teams attempt to repair and reconstruct the temples to their original design. 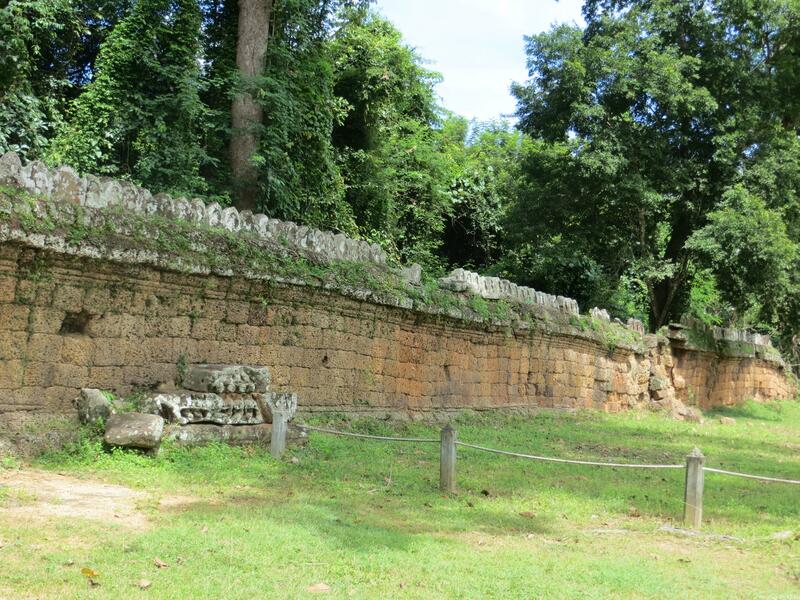 Most temples are surrounded by a giant stone wall and have huge grand entrances. You can only imagine what this would have looked like when they were constructed and how they would have been used. As we only had one day to see the temples, we aimed to go through the top ones first. 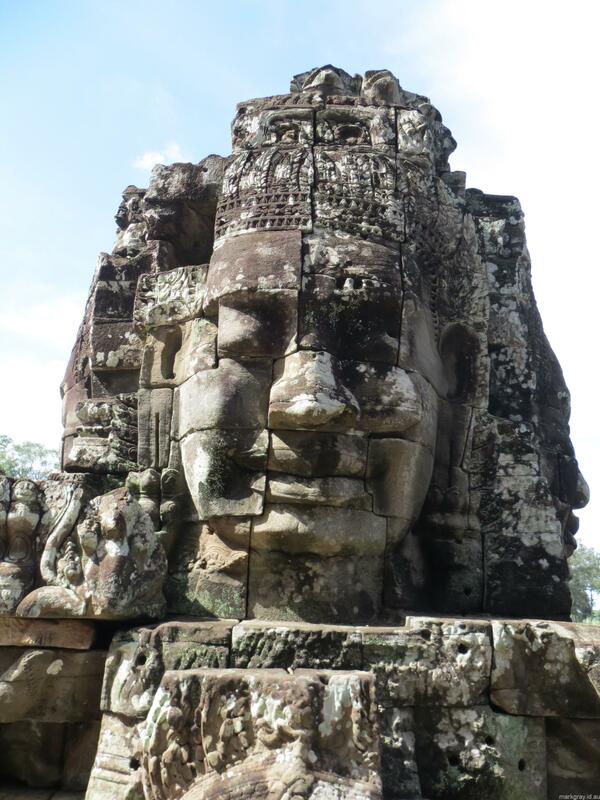 Yesterday we looked at Angkor Wat, Bayon, Angkor Tom, Ta Prohm. 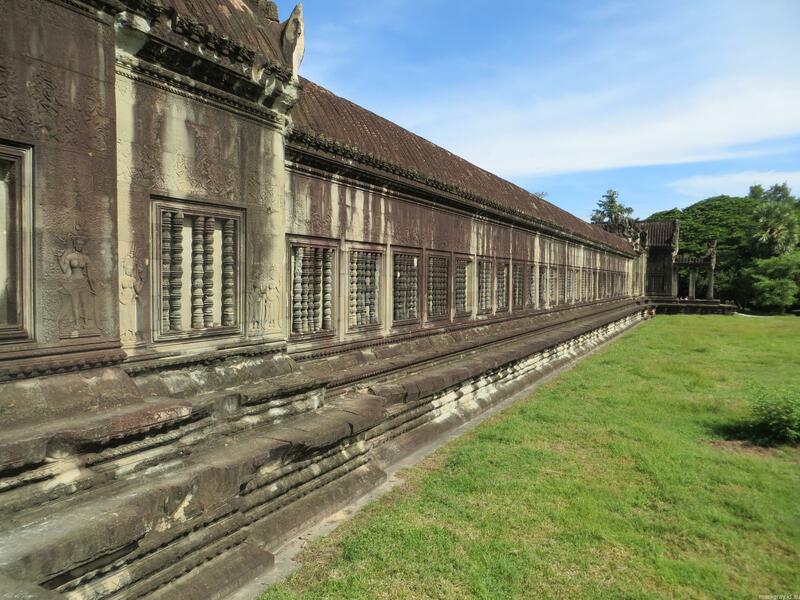 Our favourite was Angkor Tom, this temple was huge and had amazing carvings on the walls and many hallways inside. Steep steps take you up to the top floor where you can look down on the structures below and get a closer look at the huge sculptures which sit on top of the temple. Out of all the temples we looked at, this one was in the best condition and had very few props holding it together. At the end of the day we went to Phnom Bakheng which is a 15 minute walk up a hill. At the top of the hill there are some very steep steps to climb the temple and gain access to the top, from here there is great place to view the sunset. Unfortunately with the very high humidity and heat yesterday and spending all day in the sun, once we arrived at the top of the temple we were not feeling well enough to stay up there the 2 hours to sunset, we then made our way back down the mountain. I do recommend though if you want to do the sunset up here that you get there around 3.30pm, there are 500-1000 people each day who come up to watch the sunset and unless you can get there early, you won’t be able to get a spot on the correct side of the temple to see the sunset. Places on top of the temple are also limited on a first in basis, no tickets are required. 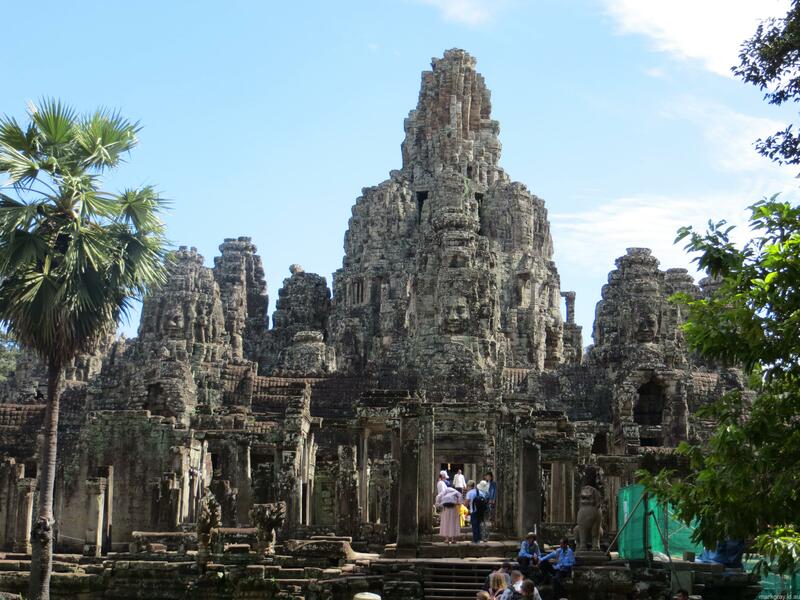 The temples are a great experience and if you are ever in Siam Reap they are must see. We have had a great time in Cambodia and this will be the first of many trips. I love how relaxed and laid back this country is, how nice the people are and how much there is to see. 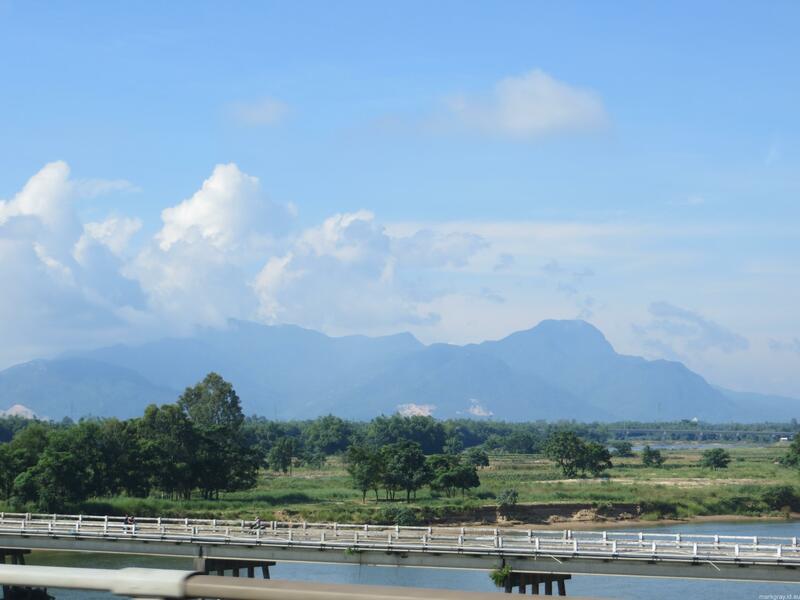 Tomorrow morning we head off to Saigon, my next update will be from Vietnam! Today started off with a tuk tuk ride from our amazing tuk tuk driver, Samart. Samart has been our tour guide and tuk tuk driver since we arrived in Siam Reap and knows the area like the back of his hand. Not only is Samart taking us to the places we have asked to visit, he has also recommended some very interesting things to see and great places to eat, he has gone to every effort to make our holiday as amazing as possible. 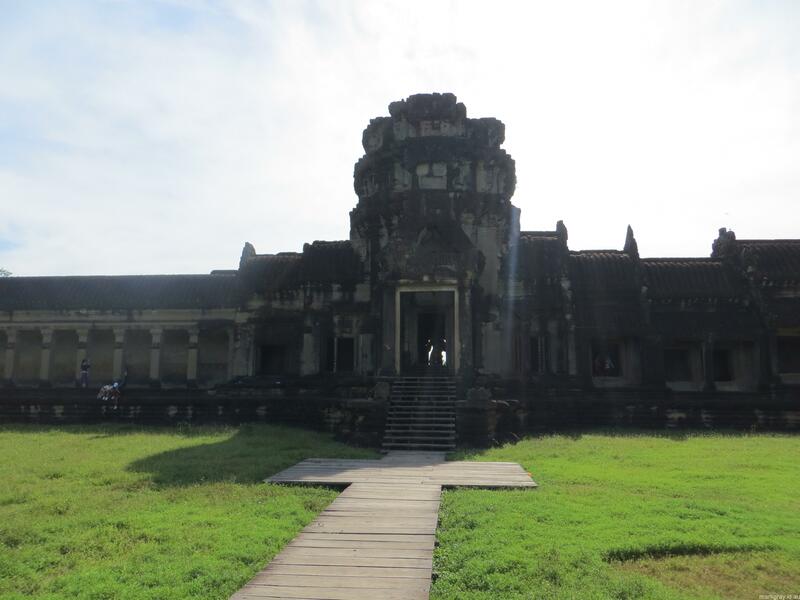 If you are lucky enough to stay at the Image D’Angkor hotel, you will be introduced to Samart. 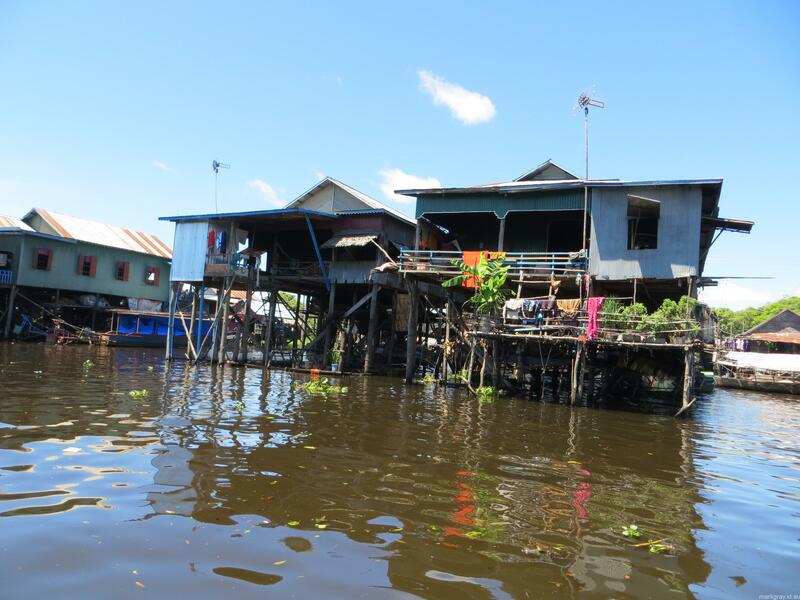 Our first stop today was the Tonle Sap lake where we took a boat ride to see the floating forest and village. 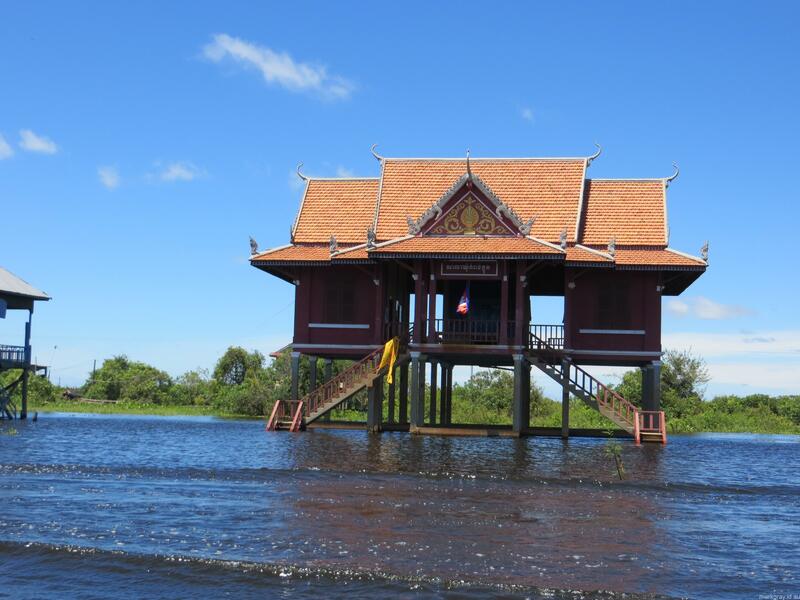 There are three different destinations you can go to see the floating village but after speaking to the locals and doing some research, the one to choose is Kompong Phluk. 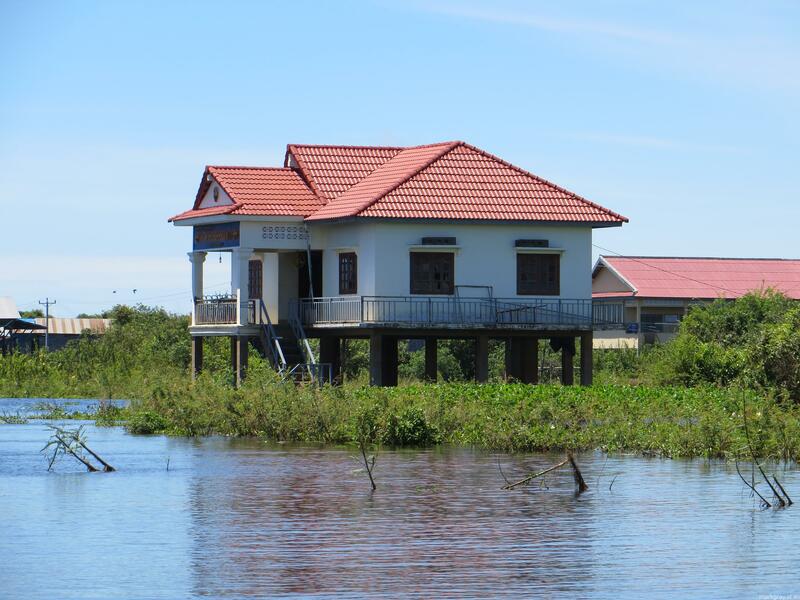 Kompong Phluk does not show you crocodile farms and other touristy things, it goes directly to the floating villages and is the only one with the floating forest. 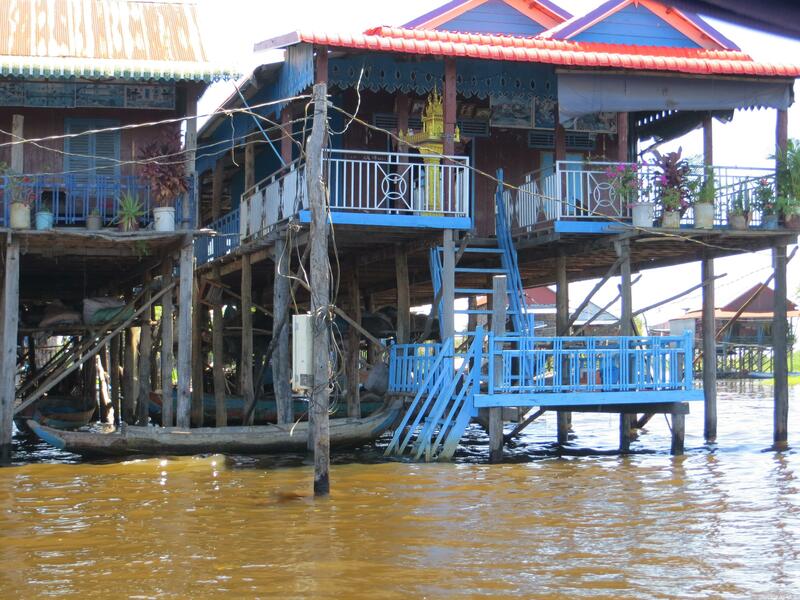 It is really interesting to see how these people live their lives on top of the water from houses to schools. The buildings stand about 2m above the waterline and the water is around 4-5m deep so the foundations of the houses run around 7m until they hit the ground. 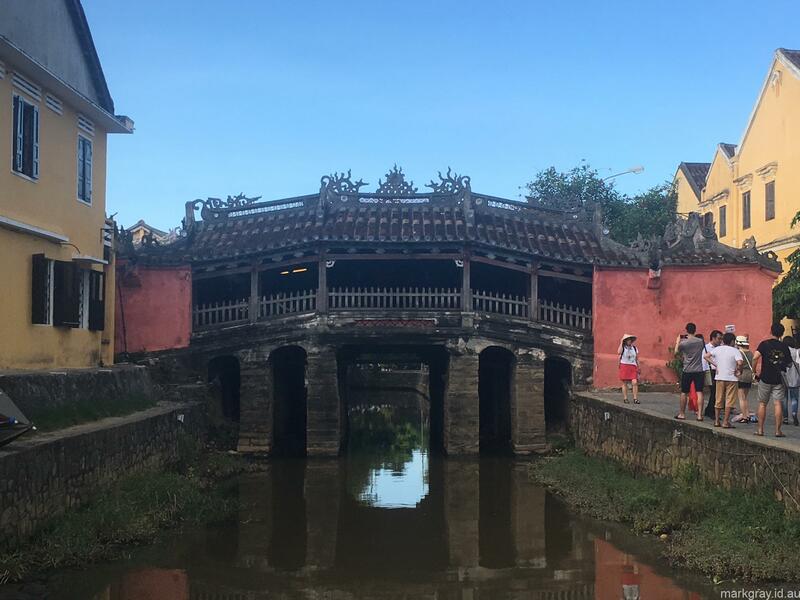 Although the water is quite polluted and looks very dirty, that does not stop the locals from washing their clothes and diving into the water. Whilst we were heading through the village we saw a lady washing her clothes at the bottom of her front steps, someone cooking and throwing the rubbish over the balcony into the water and another lady up to her neck in the water fixing an enclosure. 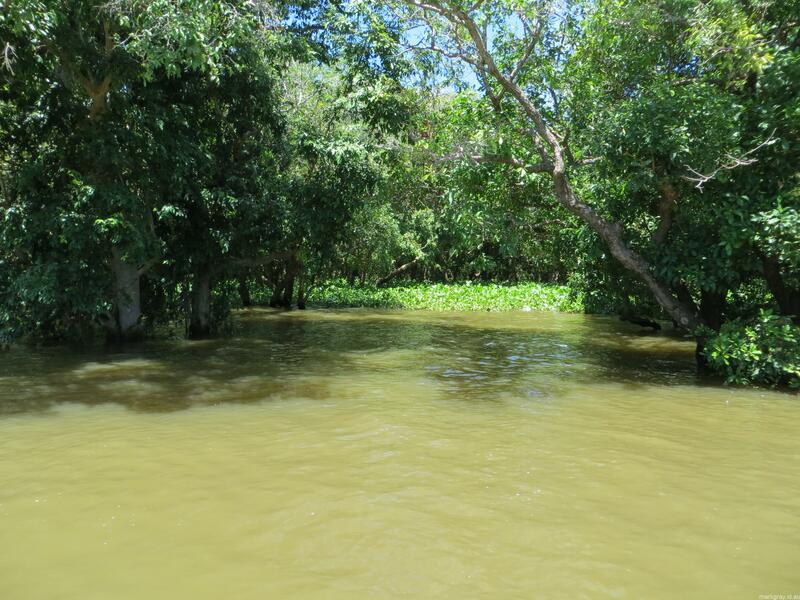 The Kompong Phluk tour also has an option for going through the floating forest which is a smaller boat and takes you in between the trees, this is a very good photo opportunity and a peaceful relaxing boat ride. If you are intending to do these tours save yourself some money and book when you arrive, the ticket price is around $30US cheaper if you book when you arrive. After Tonle Sap we made our way back into town to visit the Raffles hotel for a coffee. 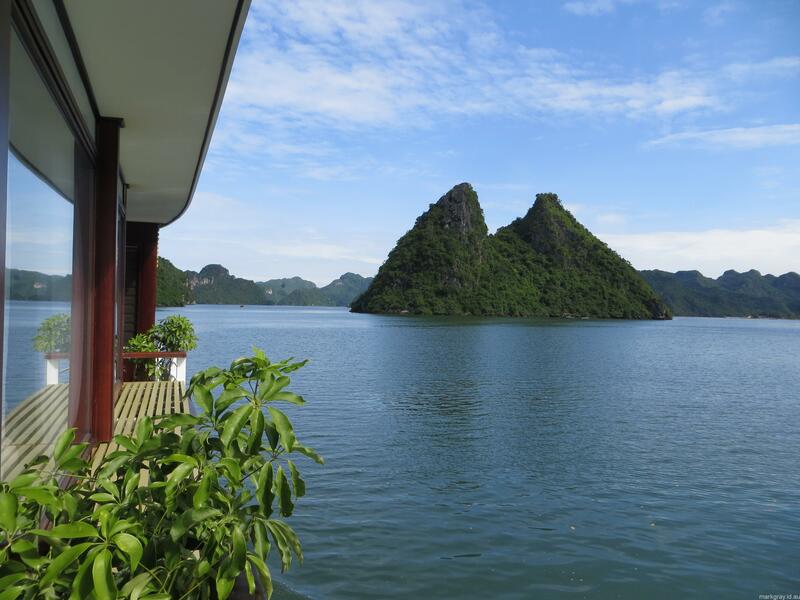 This hotel has everything included from house phones, cafe, shops, amazing pool and even a Buddhist exhibition. The pool is one of the most amazing pools that I have ever seen at a hotel, it is huge with an interesting shape and gardens. On a day like today where it was 33 degrees, it was very inviting. The cafe was a little more expensive than the standard Cambodia pricing however is still about half the price of Australia. The face produces some very good coffee’s and a very cool cream brûlée in a coconut shell. To end our day we went to dinner and a stage show at Koulen Restaurant. For $12US per person you can access the massive all you can eat buffet which has a huge variety of foods from Curries to roasted vegetables. After dinner you can sit back and relax and watch the Cambodian dancers perform a stage show. 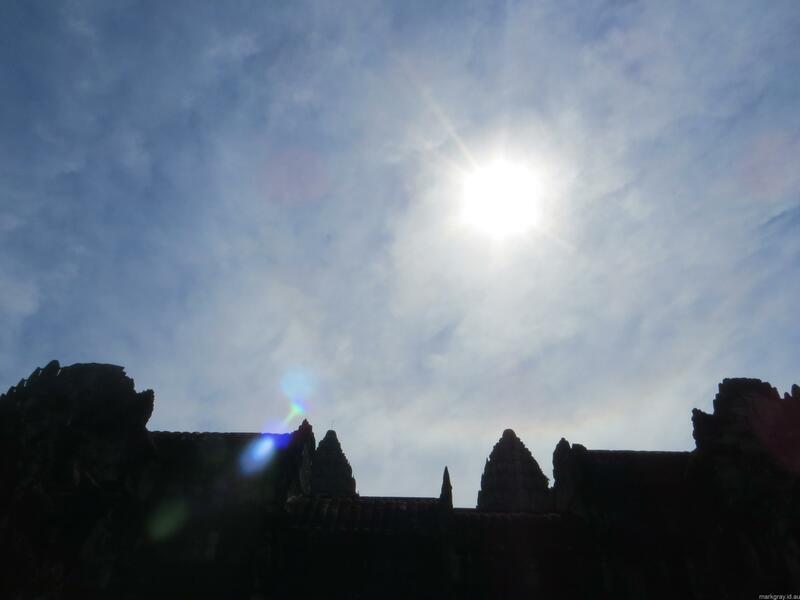 It is amazing how tired you can become from sitting down and travelling around these destinations, there is so much to see in Cambodia and with our last day here tomorrow, we have really only just scratched the surface.